With the grace & blessings of Shri Saibaba, we started " Shri Sai Satcharitra Group Parayan" on 20th August,09, Thursday. All the Members are requested to actively participate in the SAI SATCHARITRA GROUP PARAYAN Program. All the members are kindly requested to forward the link of the Group to all their near and dear ones, so that all can benefit from the prayers and devotion to the magnanimous, beneficent, benevolent and Omnipresent BABA. If we pray with sheer devotion, dedication and adoration for others, BABA will always bless us and guide us to the righteous path in life. A Warm - Hearted & Cordial Welcome to all those who wish to join - SAI SATCHARITRA GROUP PARAYAN Program. Please do read it at your own places. Parayan must be done with complete faith, devotion and surrender to experience its divine magical effects within and outside. 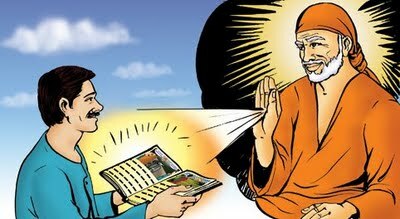 At the divine wish, Shri Hemadpant (Govindrao R. Dabholkar) was given Holy task of noting Sai Baba's supernatural deeds. 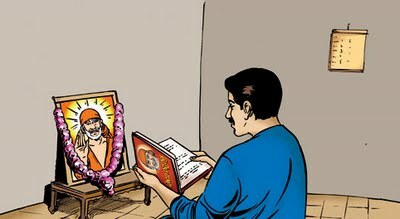 Though considered as 'Biography' it is more of an 'Autobiography' written by Sai Baba Himself. He kept His boon bestowing Hand on Hemadpant's head and said, "Let him make a collection of stories and experiences, keep notes and memos. I will help him. But he should get rid of his ego, place (or surrender) it at My feet. He who acts like this in life, him I help the most. He is only an outward instrument. I should write My Autobiography Myself and satisfy wishes of My devotees. I shall Myself enter into him and shall Myself write My own life. Hearing My stories and teachings will create faith in devotees' hearts and they will easily get self-realization and bliss". Sai Baba always invited everyone to come, take and carry away 'cart loads' of treasure from His inexhaustible treasure house. It was Baba's advice to many of His devotees to read sacred text for specific period, usually a Saptah (Saptah means a week - consisting of seven days and reading was recommended for one whole week), to get their desires fulfilled. It may also be extended to three to four cycles of reading. This was one of numerous ways which Baba followed for spiritual upliftment of His devotees. More from original author of Sai Satcharitra - Shri Hemadpant's pen, "When I took up the pen in my hand, Sai Baba took away my egoism and wrote Himself His stories. The credit of relating these stories, therefore, goes to Him and not to me. Light houses are constructed at various places in the sea, to enable the boatmen to avoid rocks and dangers, and make them sail safely. Sai Baba’s stories serve a similar purpose in the ocean of worldly existence. They surpass nectar in sweetness, and make our worldly path smooth and easy to traverse. Blessed are the stories of the saints. When they enter our hearts through the ears, the body - consciousness or egoism and the sense of duality vanish; and when they are stored in the heart, doubts fly out to all sides, pride of the body will fall, and wisdom will be stored in abundance. The description of Sai Baba’s pure fame, and the hearing of the same, with love, will destroy the sins of the devotee and, therefore, this is the simple Sadhana for attaining salvation. The Sadhana for Krita Age was Shamadama (tranquillity of mind and body), for Treta Age, sacrifice, for Dwapara, worship, and for Kali (present) Age, it is singing of the name and glory of the Lord. This last Sadhana is open to all the people of the four varnas (Brahmins, etc.). The other Sadhanas, viz. Yoga, Yagya (sacrifice), Dhyana (meditation) and Dharana (concentration) are very difficult to practice, but singing and hearing the stories and the glory of the Lord (Sai Baba) is very easy. We have only to turn our attention towards them. The listening and singing of the stories will remove the attachment to the senses and their objects, and will make the devotees dispassionate, and will ultimately lead them to self-realization. 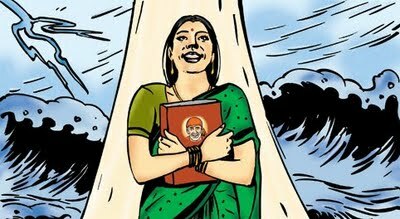 With this end in view, Sai Baba made me or helped me to write His stories, Sai Satcharitra. The devotees may now easily read and hear these stories of Sai Baba and while doing so, meditate on Him, His form and thus attain devotion to Guru and God (Sai Baba), get detachment and self-realization. In the preparation and writing of this work, Satcharitra, it is Sai Baba’s grace which has accomplished everything, making use of me as a mere instrument". 2. The best way which i suggest and follow is to keep it in shrine of your home, so that along with worship of Baba and other Gods, this sacred text can also be worshiped as Holy like Ramayana, Bhagwad Gita, Bible, Kuran, Guru Granth Sahib. 3. No matter which place you choose it is highly recommended to wrap it preferably in red, orange or yellow cloth. 4. Students can keep it in their book shelves to increase their grasping power and make practice to read daily atleast one line. 5. It can be kept at your work place too to benefit yourself and surroundings. 6. Sick people can keep it on their bed or near pillow. I have seen as instance wherein a lady devotee was to be operated and she took Shri Sai Satcharitra with her in operation theater. 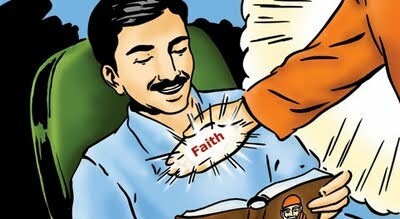 So the way you have faith in Sai Baba, so he takes care. 3. 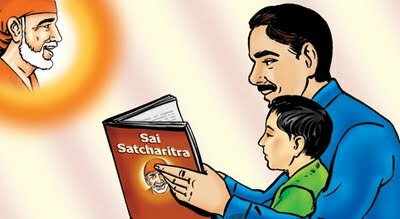 Although no specific seat or posture is recommended, sacred text - Shri Sai Satcharitra can be read by sitting in shrine at your home or any Sai Baba temple as per convenience. 10. If the above two points are not possible due to any reason at least one line or one paragraph must be read. 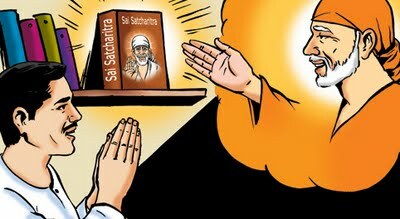 It would be disrespect of sacred text - Shri Sai Satcharitra if it is kept in one corner of your home and never read. 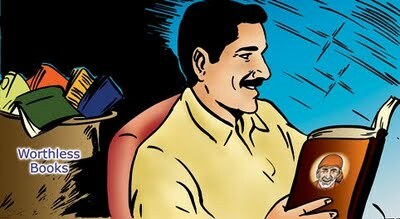 Daily reading of 11th and 15th chapter is recommended. Also it is advised to read sacred text - Shri Sai Satcharitra on Ramnavami, Gurupoornima, Gokul Ashtami and Dashera. A few words about the reward you get, from a study of Shri Sai Satcharita. After bathing you may read or hear the Satcharita. If you do this all your threefold afflictions will vanish. Casually thinking about the stories of Sai, you will get unconsciously interested in spiritual life and if you then go on through the work with love, all your sins will be destroyed. If you wish to get rid of the cycle of births and deaths, read Sai's stories and remember Him always; and get yourself attached (devoted) to His Feet. 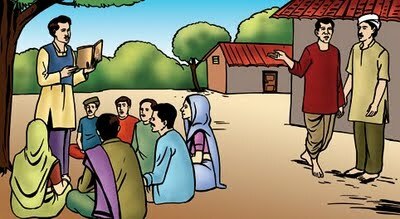 If you dive into the sea of Sai's stories, and then give them out to others, you will get an ever-new flavor of them and save the hearers from perdition. If you go on meditating on Sai's Form, it will in course of time disappear and lead you into self-realization. It is very hard to know or realize the nature of Self or Brahma, but if you approach through the Sagun Brahma (Sai's Form) your progress will be easy. If the devotee completely surrenders himself to Him, he will lose his individuality and be merged in Him and be one with Him, as the river in the sea. If you thus become merged with Him in any of the three states, viz., waking, dream and sleep, you get rid of the bond of sansarn. If anybody after bathing reads this with love and faith, and completes it within a week, his calamities will disappear; or if he hears or reads it daily and regularly all his dangers will be warded off. By its study, a man wishing for wealth will get it and a pure trader, success in his life. He will get the reward according to his faith and devotion. Without these, there will be no experience of any kind. If you read this respectfully, Sai will be pleased, and removing you ignorance and poverty, He will give you knowledge, wealth and prosperity. With concentrated mind, if you read a Chapter daily, it will give you unbounded happiness. One who has his welfare at heart, should study it carefully and then he will ever remember Sai gratefully and joyfully in birth after birth. This work should be read at home specially on Guru-Pournima (Ashadha full-moon day), Gokul-Ashtami, Rama-Navami and Dasara (Baba's anniversary day). 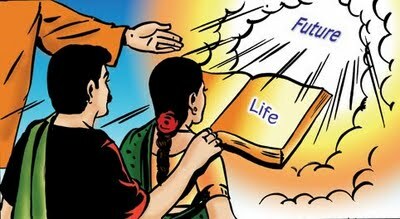 If you study this one book carefully, all your desires will be satisfied and if you always remember Sai's Feet in your heart, you will easily cross the Bhava (Sansar) sagar. By its study, the diseased and sick will get health, the poor wealth, the mean and afflicted prosperity, and the mind will get rid of all ideas and get steadiness.